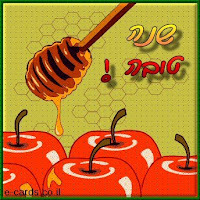 As you may or may not know, this evening is the Jewish New Year’s. My tumultuous year started with me traveling all over the globe, working for a large corporation, and ended with me working for a corporation of one. But with a little bit of luck Traveling Tech Guy (my company) might break even by the end of the fiscal year. I’ve developed an integration with a social network called Hi5 (I won’t blame you if you've never heard of it – I haven’t either until a month ago. But apparently it’s quite big in some parts of the world). The Hi5 API is atrociously documented, capriciously implemented and all in all not entirely working. Of course, all this is solved by slapping the word “beta” on the entire API, so they don’t even have to fix their bugs (the beta tag has been there since the beginning of 2008). 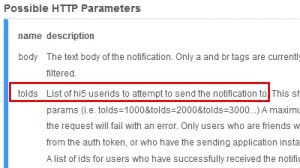 One of the parameters is called “tolds” where you’re supposed to specify a list of user IDs to send the notification to. After hours of using this method, and receiving null pointer error exceptions from the Hi5 Tomcat server (great error handling, Hi5! ), I finally found out that the name of the parameter is not tolds but toIds – to Ids. Great – I’ve been foiled by a font! My second project required integrating a web application with SalesForce.com’s API (which, in comparison, has a well-maintained, highly documented API) and was a fun project to develop (especially when combined with a 10-hour-difference-jet-lag-from-hell ). My next project is shaping up to be quite interesting, and if successful, may revolutionize remote searching. I'll tell you more about it next year. Well, let me part by wishing you all a happy, healthy, prosperous new year. May you realize most of your wishes – so you’ll always have something more to aspire to next year .